On returning home from school, the children from the SOS Children’s Village in Cape Town were surprised to see a DJ booth had been set up. They were even more surprised when Martin Garrix appeared. 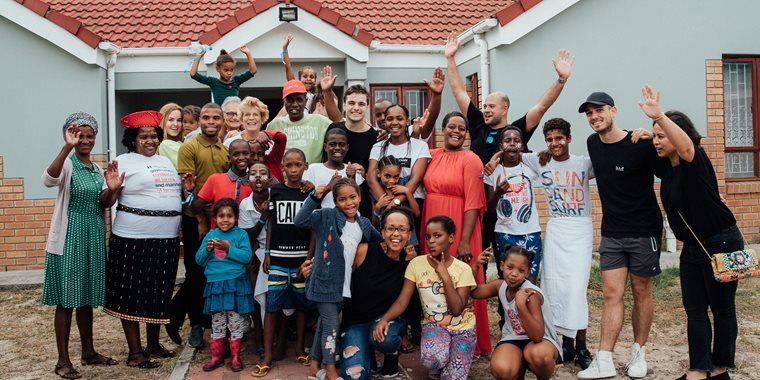 The chart-topping Dutch DJ/Producer, who is an International Friend of SOS Children’s Villages, stopped by the Village before performing at two concerts in South Africa. After arriving jetlagged and tired from Australia, Martin still found time and energy to perform a one-hour DJ set to an excited crowd of one hundred children and young people, some aged just three years old and accompanied by their SOS mothers. “It was super fun to see the kids again,” says Martin, who first visited the Cape Town Village in February 2017. He even invited some children to join him in his DJ booth. "I was happy that I could go up and DJ with Martin Garrix,” says one seven-year-old boy. “He played nice music, and I was dancing the whole time. I could sing along to a few of the songs he played. It was so much fun. I hope he comes again really soon." A group of four young people also had the chance to meet Martin in person and exchange stories about their lives, says Village Director Lezel Molefe. “He told them about the challenges he had faced and that his fame and fortune did not happen overnight. In a sense, he was motivating them never to give up on their dreams and face the challenges that lie ahead,” says Lezel. Martin showed the group of young people a video of one of his latest songs "Dreamer" and explained that the singer he collaborated with had spent most of his life on the subway in New York City, making a living by singing melodies to the people passing by. He told them that the person's attitude to keep on going even though times were tough had inspired him to write the hit song. “To me, that is what humanity is all about - helping others without a second thought. That is who I want to become one day - someone who gets recognized for the good things they do,” says 21-year-old Shurwin. Lusanda, 22, who is supported through SOS Children’s Villages family strengthening program, was also inspired by meeting the DJ/Producer. “Martin Garrix is the same age as me, but has achieved a lot and that’s motivation in itself. I now know that only the sky is the limit and every challenge that comes across is there to test you and to make you stronger,” he says.